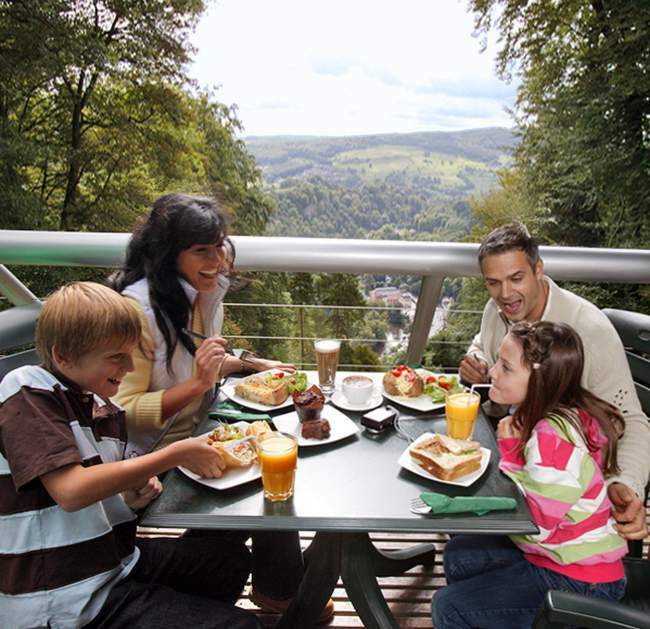 The Heights of Abraham in Matlock Bath has been welcoming visitors since 1780, making it the Peak District’s oldest tourist attraction. But this isn’t just a single attraction - with its spectacular natural caverns, beautiful views, play areas, cafes and of course the cable cars themselves - it’s no wonder the Heights of Abraham has welcomed countless visitors from across the world, for more than two centuries. 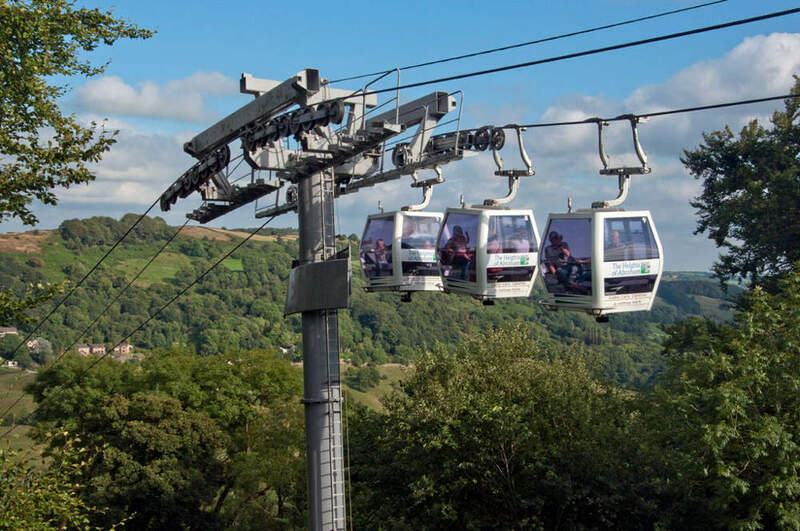 Probably the most famous attraction at the Heights of Abraham is its cable car system giving visitors unrivalled views of the Derwent Valley and the Peak District. 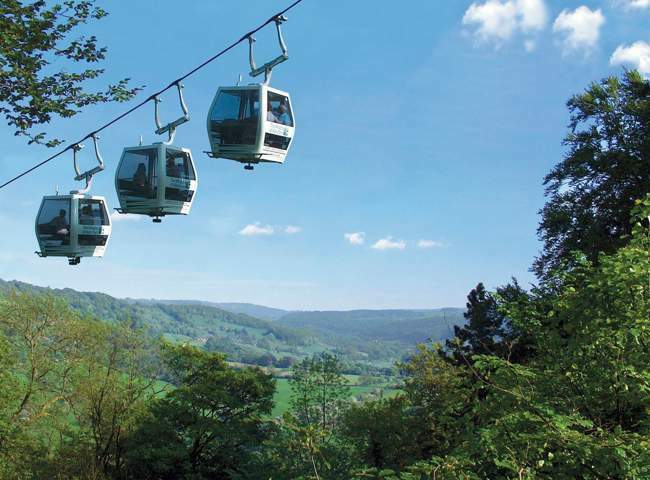 Installed in 1984, this is Britain’s first cable car system system has 12 cars and transports visitors 568 metres (about a third of a mile) from the bottom to the top, gaining 169 metres in height. The largest of the four supporting towers is 77 feet above the ground. Sited on the top of a vertical shaft that leads down to the Great Masson Cavern, Tinker’s Shaft is a viewing platform that offers some of the most spectacular, panoramic views of the Peak District that you’ll find anywhere. There are informative panels telling the story of the site, the geology and the area’s industrial past with its old lead mines beneath your feet! The major attraction at the Heights of Abraham, long before the Cable Cars were built were the spectacular caverns deep beneath the hillside. Tours of the caverns run throughout the day, and you will be accompanied by a guide who will bring the long history of these amazing caverns to life. In the Masson Cavern state of the art lighting will enhance the experience. You’ll see the caverns as if lit by a single miner’s candle, and flooded with coloured lights to enhance and display their natural features. In the Rutland Cavern you’ll experience a working day underground with John - a local lead miner from the 17th Century. This fascinating exhibition tells the story of the Heights of Abraham as a tourist attraction. Find out why people have been coming to this part of Derbyshire since 1700 - and they must have been keen, because there were no trains, busses, cars, or even good roads at the time! The discovery of thermal waters thought to have healing properties transformed the local economy from one based almost entirely on lead-mining, to one supplemented by visitors, keen to benefit from the health-giving waters, and to see the underground caverns. 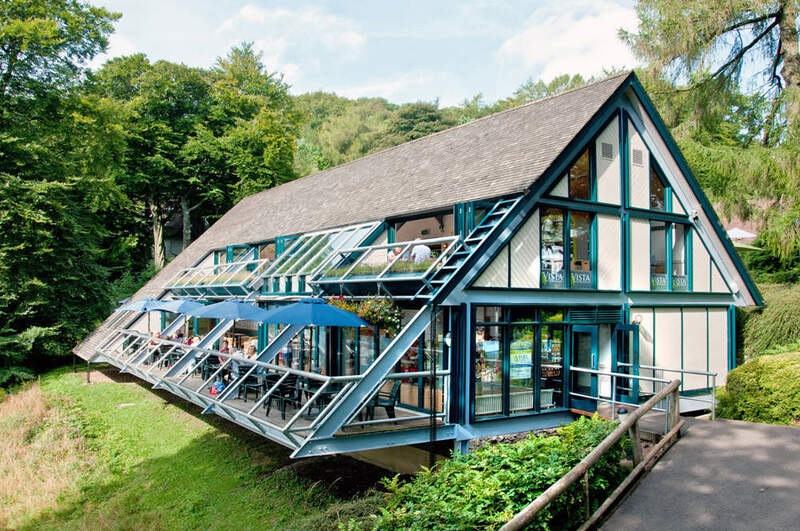 You won’t miss the triangular Masson Pavilion - and that’s just as well, because it’s here that you can see a fascinating film about how Britain’s first cable car ride was constructed. There’s also a virtual tour of the caverns, which is brilliant especially for those visitors who can’t access the real thing. Of course there are lots of great fossils to see - and you’ll even see the remains of a giant Icthyosaur which lived at the same time as the dinosaurs! 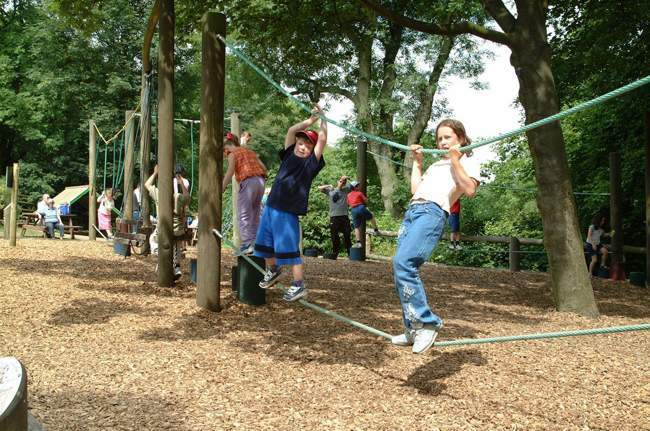 The lower play area is home to the Woodland Adventure, with lots of slides, towers, rope walks and a climbing wall. 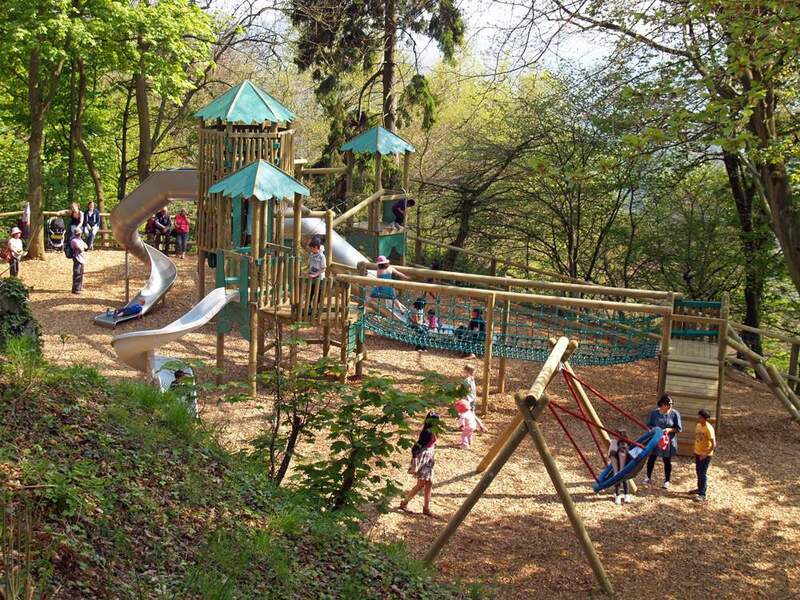 There are also giant slides to discover within the trees. At the summit, you’ll find the Explorer’s Challenge with lots more challenges to keep your little ones amused. Built in 1844 to celebrate Queen Victoria’s reign, the Victoria Prospect Tower also benefitted redundant local lead miners by providing construction work. The tower was restored in 1978, and today you can climb to the very top, where flares used to be lit during Victorian times, that were visible for many miles. The tower offers a fantastic view of the valley. For more than 230 years, visitors have come to the Heights of Abraham to walk on Masson Hill. In the 1780s this was known as a “savage garden’ - zig-zag paths leading up the hill to Rutland Cavern, and later, the Victoria Prospect Tower. You can still walk on these paths today - and you can even enjoy an ice cream at the Tavern and admire the scenery. Q. Do we need to book the cable cars, or can we just turn up? A. 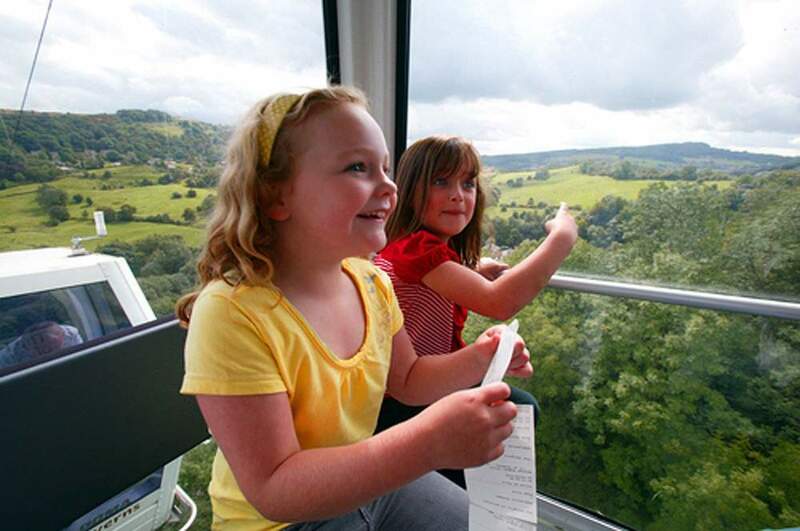 No, there’s no need to book as the cable cars run all day - just get on when you’re ready. Q. How long should I allow for my visit? A. Most visitors make a day of it, and stay for about 5 hours. A. Dogs on leads are allowed on the cable cars, and in the grounds of the Hilltop Park. They’re not allowed into the caves, inside any of the buildings, or in the children’s play areas. Q. What should we wear to visit the caverns? A. Sturdy shoes - high heels wouldn’t be suitable. Also, bring something warm to put on, because the caverns are always about 10c - which is much cooler than the outside temperature a summers day! Q. 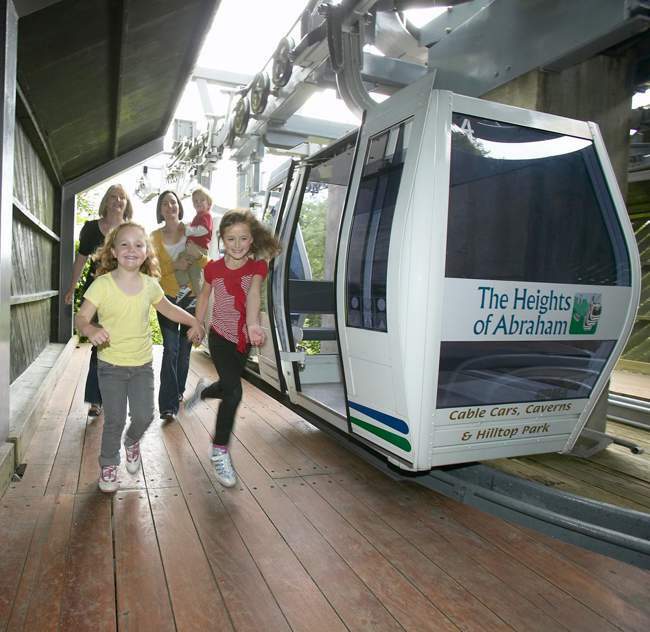 Can I take my child’s buggy on the cable cars, and into the caverns? A. Buggies are allowed on the cable cars - but please fold them before boarding. Unfortunately they’re not allowed into the caverns - but can be left at the Great Masson Pavilion, although the Heights of Abraham don’t take responsibility for buggies left unattended. There’s a good choice of places to eat at the Heights of Abraham. The Vista Bar and Restaurant offers a lunch menu, or Afternoon Tea, accompanied by panoramic views, either from the balcony, or through the floor-to-ceiling windows, which are opened when the weather is suitable. 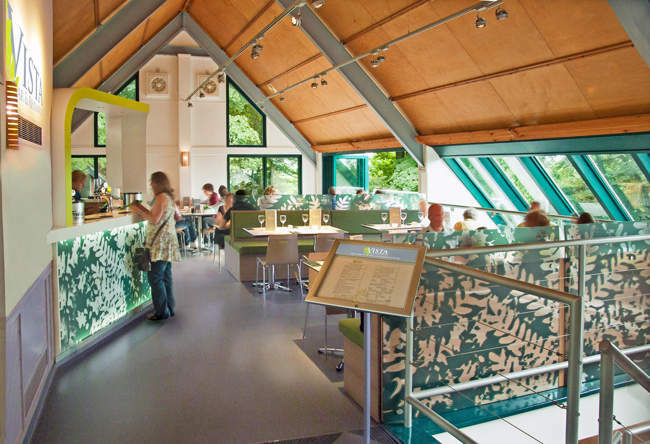 The Terrace Cafe is ideal for some quick refreshments to boost energy levels without taking up too much of your time. Baked potatoes, sausage rolls and hotdogs are just a few of the light lunches available, and there are scones, muffins and cakes for those with a sweet tooth. Coffees include Expresso, Latte and Cappuccino, or have a pot of tea or some fruit juice. The Tavern: Refreshments have been served to visitors on this spot since the 18th Century - and although the building has changed, The Tavern still has the oldest beer licence in Matlock! Ice creams are also available. 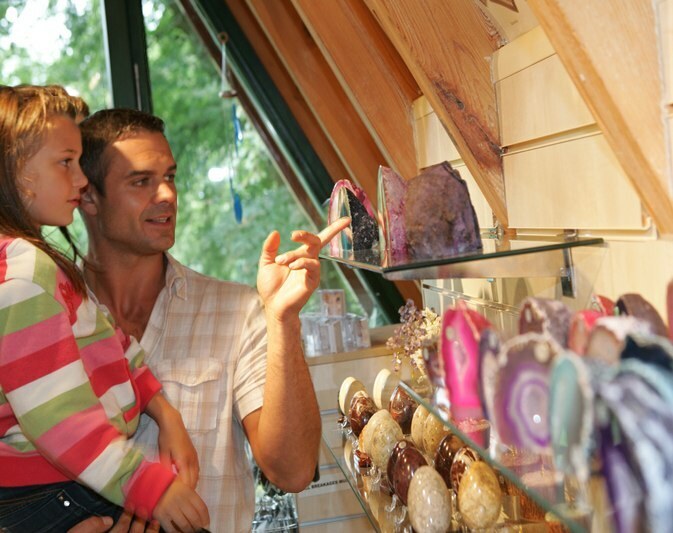 You’ll find the Treetops Gift Shop in the Treetops Visitor Centre at the summit. It offers an excellent choice of souvenirs of your visit, for all tastes and budgets. The Rock Shop can be found next to the Fossil Factory - and if you’ve been so inspired by the rock formations and fossils you’ve seen, that you want to take some impressive rocks home with you, then it’s definitely the place for you. Grown ups might be tempted by a spectacular amethyst geode or larger fossil specimen, while kids will love the brightly coloured gemstones that are for sale. 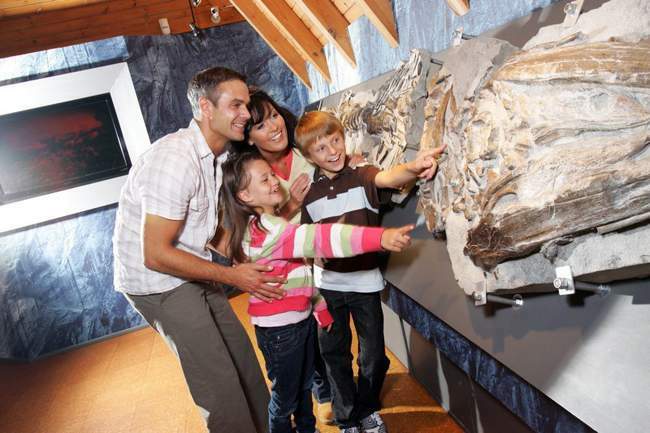 They can even make a free rubbing of their favourite fossil to take home and keep! Due to the natural steep gradients on the site, and the natural formations of the caverns, not all areas of the Heights of Abraham are fully accessible. However, the cable cars have been modified so they’re wheelchair friendly and can even accommodate a mobility scooter up to 114cm by 70cm. Exhibitions at the summit are accessible to wheelchair users. 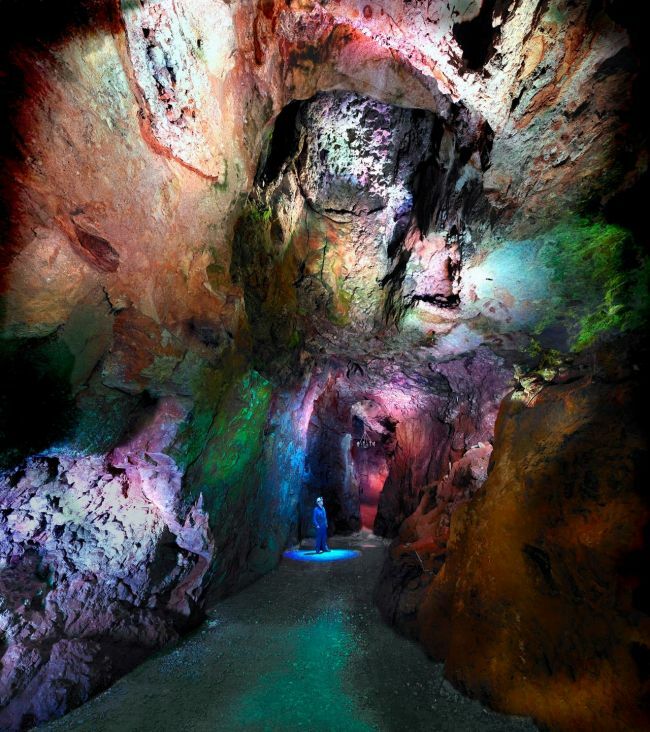 Although the caverns are sadly not wheelchair accessible, there is a virtual tour of the Great Masson Cavern in the Masson Pavilion. Weekends Only 10.00am - 4.30pm. Note: The last cable car up is half an hour before closing. Family Saver Ticket(2 adults + 2 children) £49 (additional child -up to 6, £8 each). Senior Family Saver Ticket (2 Senior + 2 children) £43 (additional child - up to 6, £8 each). Group Rates and Season Tickets available upon request. The Heights of Abraham are in the Derbyshire Peak District in the picturesque village of Matlock Bath. Situated on the A6, 18 miles north of Derby. Signposted from M1 junction 28 and A6 approach roads. Car parking in Matlock Bath Station - operated by Derbyshire Dales district Council. Let the train take the strain - The Heights of Abraham are only 400m from Matlock Bath Train Station, with hourly train services from Long Eaton, Beeston, Nottingham & Derby. (2 hourly service on Sundays).